Welcome to the new Element Racing Website! 2014 ITU World Cross Triathlon Championships Opens with Banner Registrations! 2014 REGISTRATION IS NOW OPEN! 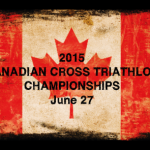 It is with great pride that we officially open registration for the 2014 Canadian Cross Triathlon Championships: XTERRA ‘Mine’ Over Matter. Registration can be found by clicking here! Welcome to the 2014 Season!